Fall 2017 has been a watershed of progress for ThorCon, a startup developing liquid fuel fission power plants. The company is working to implement its molten salt reactor (MSR) technology first in Indonesia. The Argonne National Lab has teamed up with ThorCon to apply for DOE grants that would support the development of ThorCon’s advanced MSR technology. One of the proposed projects would have Argonne apply its new high-fidelity simulation tools to ThorCon’s reactor design See also this technical summary of its MSR reactor (PDF file). ThorCon employs a moderately high energy density resulting in a short (4 year) moderator life. A ThorCon plant is made up of one or more 250 MWe modules. Each module consists of two sealed Cans. Each Can houses a 250 MWe primary loop including a Pot (reactor), pump, and primary heat exchanger. The two Cans are duplexed. At any time, one Can is operating and the other is in cool-down or stand-by mode. The plant is designed so that the change out of a cooled-down Can is safe and quick. Meeting at Argonne. 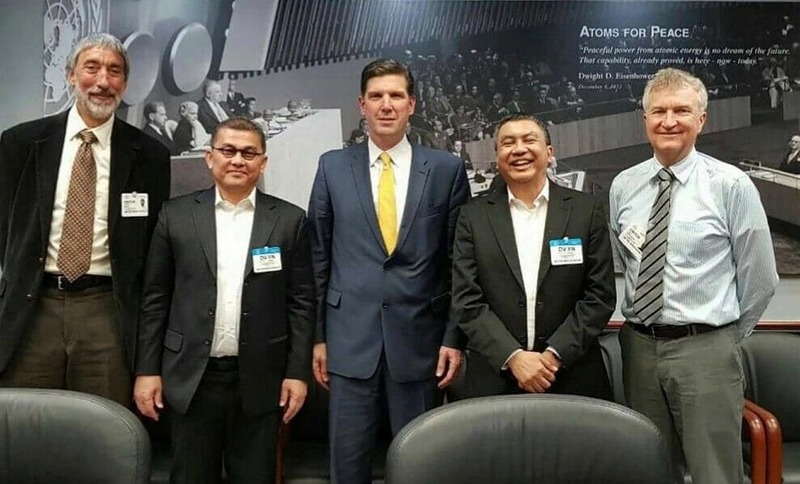 From left: Cherria Supit (secretary KEIN), Lars Jorgensen (CEO of ThorCon US), Bo Feng (ANL reactor design expert), Tanju Sofu (ANL Program Manager), Florent Heidet (ANL Section Manager), Zulnahar Usman (head of KEIN delegation), David Devanney (CEO of ThorCon International), Bob Effendi (KEIN), Deltadi Nurwijayanto (KEIN). KEIN delegate meeting with Argonne MSR team chaired by Dr Tanju Sofu (sitting in front, brown jacket) Others are members of the workgroup from ANL and Thorcon. 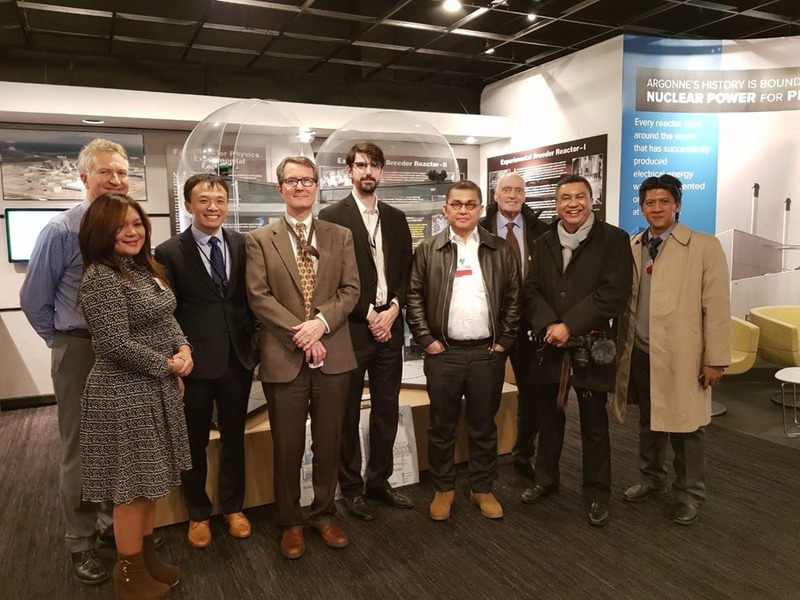 In early November, a delegation from Indonesian President Widodo’s special advisory Council on the National Economy and Industry (KEIN), made a visit to the United States to carry out due diligence on molten salt reactor (MSR) technology and on the ThorCon design. The delegation was escorted by ThorCon on visits to the Braidwood Nuclear Generating Station, the Argonne National Lab, the Oak Ridge National Lab, and the Office of Nuclear Energy of the Department of Energy in Washington, DC. Meeting at ORNL. 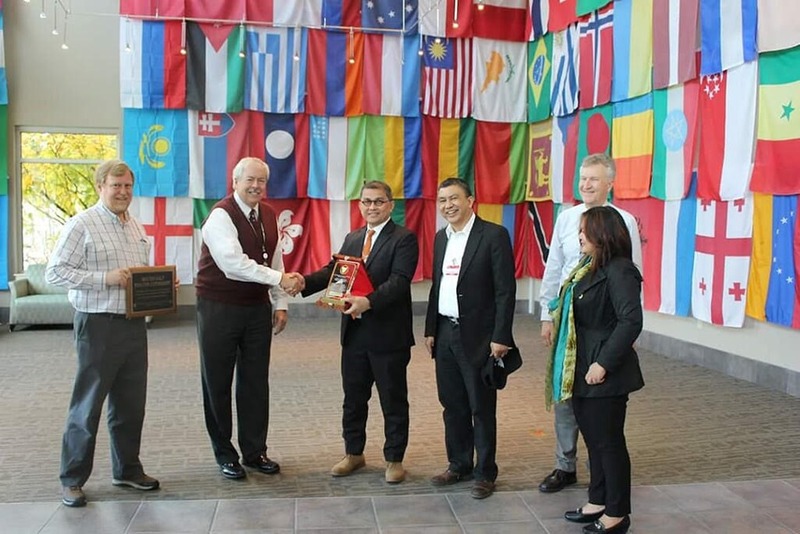 From left: Dr. David Holcomb (ORNL), Dr. Gary T. Mays (ORNL headof MSR program, Mr. Zulnahar Usman (head of KEIN delegation), Mr. Bob Effendi (KEIN), Lars Jorgensen (CEO of ThorCon US), Ms. Cherria Supit (KEIN). One of the highlights of the delegation’s US trip was a meeting the DOE’s acting head of nuclear energy, Mr. Ed McGinnis, who showed strong interest in Indonesia’s progress towards nuclear power. Mr. McGinnis and Mr. Usman agreed that the two countries would take steps to increase cooperation in support of Indonesia’s nuclear plans with the understanding that a ThorCon demonstration power plant would most likely be Indonesia’s first step. At a recent meeting hosted by the Deputy Minister of Energy in Indonesia, a day long review was undertaken by the various stakeholders in the Government and private industry regarding adding nuclear power to the country’s energy system. A comparison of all offered sources of nuclear found ThorCon’s power to be 4 to 5 cents per kWh lower than the competition and the only clean source of non-intermittent power that was competitive with coal. PLN, the national utility company, expressed its willingness to buy nuclear power if it was under 7 cents per kWh. ThorCon’s willingness to provide power at this level was made clear to the Deputy Minister who expressed a preference for this low-cost option while at the same time acknowledging its unproven nature at commercial scale.